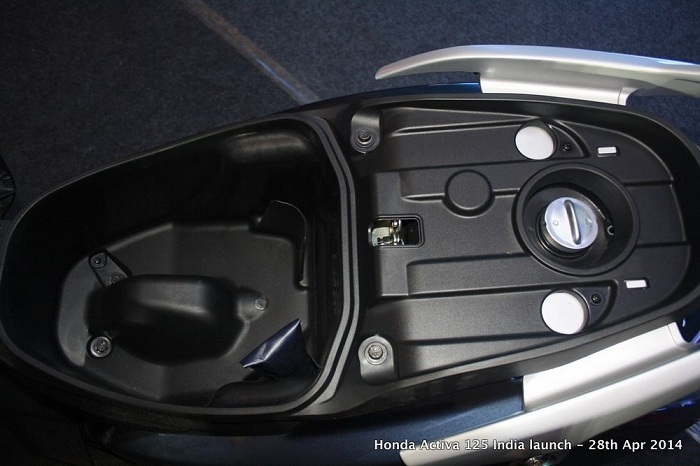 Honda Activa Fuel Tank Capacity – Honda is a very popular automobile brand in India. The brand is known for its two-wheeler products which are designed to meet the various needs of its Indian consumers. Activa scooters are one the best selling vehicles in Honda’s portfolio and the reason behind it is Activa meets the need of every age group. The comfortable ride is preferred by both men and women. With high-end specifications in every new launch, Activa is always a step ahead of its competitors. with a mileage of 52 Kmpl, this fourth generation vehicle from Activa is quite commendable. Available with BS-IV Compliant Engine, this model is loaded with standard features of an Activa. This model of Activa has a Fuel Tank Capacity of 5.3 Liters which is enough to enjoy a long ride with college friends. Though you may need to keep an eye on Activa 4g fuel indicator so you won’t run out of fuel. It will be important to mention Activa 4g reserve fuel capacity is around 8 to km. The Activa 5G scooter is powered by a single cylinder, 109.19cc engine which is efficient enough to produce 8 BHP at 7500 rpm and 8.83 Nm at 5500 rpm. You have an option to choose any color from-Black, Metallic, Matt Selene Silver Metallic, Matte Axis Grey Metallic, Pearl Metallic White, Lusty Red Metallic, Blue Trance and this makes your ride special as well as a comfortable one. This variant of Activa was introduced as the 3G or the third generation of Activa scooters for Indian customers. This model of Activa gives a mileage of 61 kmpl and you can achieve it at a top speed of 82 kmph. If you looking for different colors in this segment then you can have it as Activa 3G was launched in 6 different colors. These are Pearl Amazing White, Black, Majestic Brown Metallic, Trance Blue Metallic, Grey Metallic, and Imperial Red Metallic. This 3rd generation is one of the popular scooters if you are willing to have a unisex automatic scooter. And though the Activa 3G isn’t radically different from the previous model. Being a BS-III variant, it is now no longer available in the showrooms. We can expect for a BS-IV variant soon but no official confirmation has been released yet. It comes with a Fuel Tank Capacity of 5.3 Liters which is efficient enough to cover a distance of 300 kilometers. Let me tell you, activa don’t have reserve coke and so you really should know honda Activa fuel reserve capacity. Normally activa runs 7 to 10 Km when your fuel indicator touches the red part of the gage. If you are looking for an automatic scooter with the BS-IV engine then Activa 125 should be on your list. The Activa 125 is the first scooter which is provided with an engine which follows the BS-IV emission norm. If you are buying a new one then you can enjoy AHO feature which is a compulsory safety feature for all new 2-wheelers from April 1, 2017. 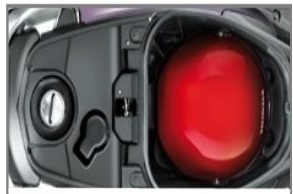 The position of LED pilot lamps can help you to differentiate the old and new models of this scooters on the Indian roads. You can also enjoy mid-variant of the new Honda Activa 125 with a drum brake and alloy wheel setup. 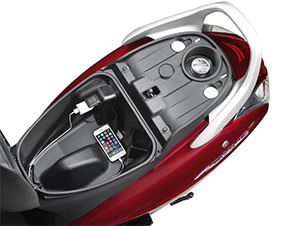 The new 125cc scooter is provided with a retractable front hook and mobile charger option. The latest BS engine update and the ban of BS-III vehicles have helped in the sales of this model. Activa 125 comes with a Fuel Tank Capacity of 5.30 liters and an Overall mileage of 54 kmpl at a top speed of 84kmph. The Activa I is a well-designed variant of Activa Scooters. The features of Activa-I are very much similar to Activa 125 but the design and a budget pricing are quite impressive. You can enjoy a comfortable ride with a confidence of Honda as this variant is powered by a 109.2cc Honda Eco Technology engine with CVT. The engine is upgraded to Fan-Cooled, 4 Stroke BS-IV Engine which provides 8bhp and 8.74Nm of torque. Honda Activa I comes with a Fuel Tank Capacity of 5.30 liters and an Overall mileage of 66 kmpl at a top speed of 83kmph. This vehicle is not overweight like other models of Activa because of the fiber body. After the Ban of BS-III compatible vehicles in India, the customers can now contribute more to the environment by releasing less emission ride of Activa I.
Honda is trying best to reserve the number one spot in the scooter segment by providing regular upgrades in latest models of Activa Scooters. The best thing about these upgrades is that they meet the expectations of Indian roads. Activa 125 mileage is 60KM as per the company. Though some of our users are reporting they are getting around 40 to 50 KMPL.